Protecting your business means everything. 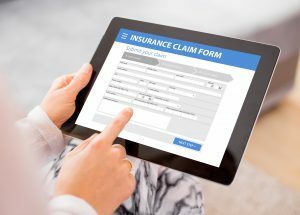 Protection from drastic market changes, protection from aggressive and hostile takeovers, and protection from bankruptcy, are some of the key reasons why you should get insurance coverage for your business. Insurance policies provide protection against the unforeseen while also allowing you to recover funds to make-up for damages to your existing business, if any. Thus, any small business owner worth their salt should take the time out for small business insurance. Professional liability insurance will help you cover your business against unwise business moves that end up incurring loss. Any harm done to the future of your company from failure to perform on the projected level, can be covered up. Professional liability policies have different terms and conditions for different industries. If you own a successful business, you must dedicate office space for the daily functioning. And if you own or rent or even lease a property for your business, and then it is imperative that you apply for property insurance. This covers you against any kind of loss incurred in the terms of equipment, furniture, inventory items, theft, etc. Given the fact that it deals with tangible property, you are also protected against natural calamities. If you have hired workers in your staff, then you are liable for their well-being as well as remuneration. The liability for a worker’s well-being concerns medical expenses, disability or death benefits. For any medical and health related setback to a worker occurring in context to working as your staff-member, you are liable to pay compensation. This accounts as worker’s compensation insurance. This covers any long-term disability insurance as well, which the worker may have accrued as a direct result of being in your employment. For many, starting a business from their home is the first step, as it is for many start-up businesses. Your business will not be protected in such a scenario by a homeowner’s policies. Thus, additional insurance coverage for home-based businesses is a must. Your products can be anything from physical commodities to intellectual property. As long as you have products in the general market, it is important to get liability insurance for them. This protects you from consumer lawsuits, lawsuits from competitors for any number of reasons, product failure to meet the supply projections, etc. If you are using vehicles for commercial purposes such as carrying your goods, conducting promotional, and so on so forth then you are also liable to bear costs should the vehicle come to meet any kind of damage. A well-chalked up commercial vehicle insurance will cover you against any damage to the vehicle. Businesses incur losses all the time due to factors out of their control. Political strikes, natural calamities cause thousands and lakhs in revenue for companies across the globe every day. But why lose revenue for things that do not concern your business? Business interruption insurance policies protect you against any such exterior scruples. Mindtrust understands the various needs of your small business. We offer consultation to small-business owners for any or all of these insurance policies applicable. Contact us today, for further information on this matter.